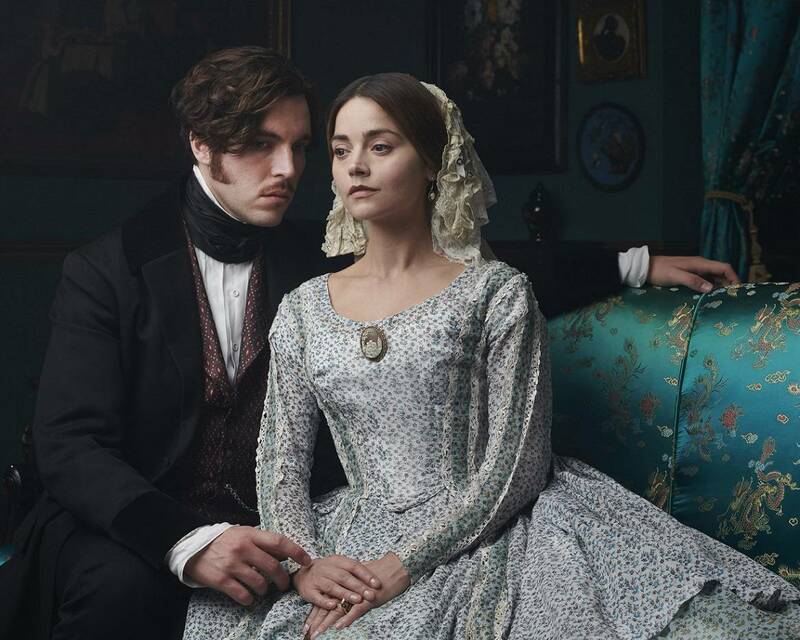 “Victoria on Masterpiece” is now midway through its 3rd season. I was reluctant to watch this show despite its rave reviews. I’ve seen enough British period pieces to know the usual fare: thickly bounded historical scenes, dry lines, overly wrought parents, and predictable scenarios. The show had harvested acclaim through rave reviews along with Bafta and Emmy nominations. After I was inundated with promos online and on my TV screen, I finally gave in and gave it a try. The earlier episodes are available only to MPT members on Passport (perk), but viewers are able to watch the new episode online (for free) for a few weeks. I selected episode 6, “A Coburg Quartet,” as my foray into this finely tuned Victorian piece of work. I wanted to see how Victorians reacted to wearing Georgian attire for a ball. I also wanted to see the drama ensue over a controversial picture that was widely published. Much to my surprise, there’s enough palatable romance, intrigue, and petty squabbling that quenches my thirst. “Victoria” is a mash-up between Netflix’s “The Crown” and Julian Fellows “Downtown Abbey.” You get enough historical intrigue without any dry scenes, but much like “Downtown Abbey,” scenes are fluid and dialogue is witty enough to make a delightful impression. Overall, it’s a sumptuous production full of glitzy gowns, elegant buns, ornate rooms, and delicately woven scenarios that unearth a gamut of emotions. This version of Queen Victoria is quite compelling, with the fast-paced scenes, rich romance between Prince Albert and Victoria, and the various ways this young queen handles haters from all ends of the social spectrum. Jenna Coleman, who portrays Queen Victoria, with piercing blue eyes (powerful blue contact lenses), embodies a young woman who was once intensely insecure but grows up to handle her foibles with sincerity. For instance, her penny-less sister Feodora is serving as a nanny for her brood of 9 (characters are quick to quip over Victoria’s baby making rate). Much like office politics, Feodora is super jealous of Queen Victoria. Victoria was chosen by higher powers (parents) to be queen and Feodora lets that slight simmer in her bones. Feodora hides her intense hatred with smiles, faux assistance (ex: hiring a phrenologist to examine young Bertie only to have the specialist yield some cutting results). Queen Victoria is miffed that her sister is getting away with it. She’s also peeved that a certain “someone” doesn’t have her back. Will the Queen let this slide? Will there be an epic showdown? Find out! Watch this episode on MPT.org here. Sherryn Daniel mauris commodo tincidunt dolor, id volutpat nulla bibendum bibendum. Nulla facilisi.